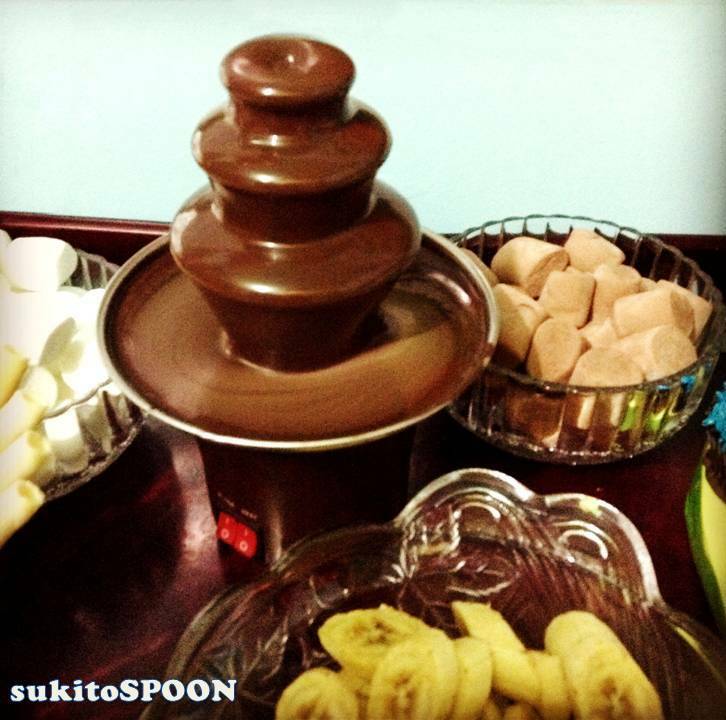 One of the best way to serve chocolates on your table is to let it flow through a chocolate fountain. This appliance will surely be enjoyed by your family and friends… most especially the kids. It will make a lovely effect on your table in any occasion like birthdays, weddings, baptismal, business meetings, parties, and holidays as well. Visually yummy as the melted chocolate flows while being surrounded with all the fruit slices such as bananas, strawberries and melons, bread sticks, biscuits and marshmallows… waiting to be dipped in this sweet brown treat. Its parts consists of the tower (the brown one on the right side), the screw (the black one below the tower) which will be inserted in the middle of the tower, the motor block (the three brown screw head-like on top of the appliance’s reservoir) where the tower will be placed, the heating switch and the motor switch (the two red buttons near the base of the appliance). You can use pure chocolate, milk chocolate, white chocolate, dark chocolate in the said appliance. AVOID using chocolate with raisins, almonds, and nuts for these will block the rotation of the screw. NEVER use cold liquid in the fountain or even adding it in the melted chocolate for it will stop it from flowing. Just make sure that you are going to use completely melted chocolate. You can add oil if needed to make it really thin. 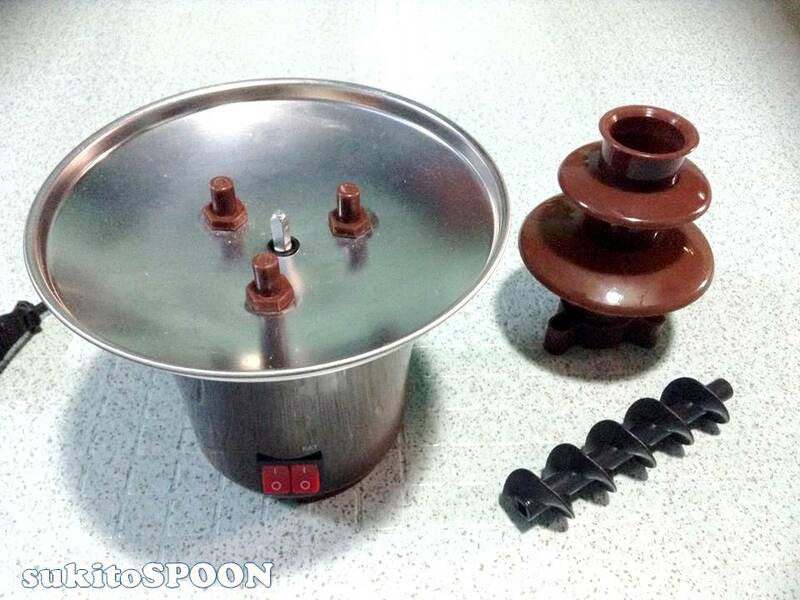 For the chocolate preparation you can melt the chocolate in the microwave oven or in a saucepan or you can buy an already melted chocolate fondue in a pack. For adult parties and for a different taste, you can add liquor by using a measuring jug. Desired liquor taste such as Kahlua, Grand Marnier, Frangelico, Cre’me de Menthe, and Godiva Liquor to name a few. You can also add chocolate flavors with taste of orange, hazelnut, mocha, mint, and coconut. 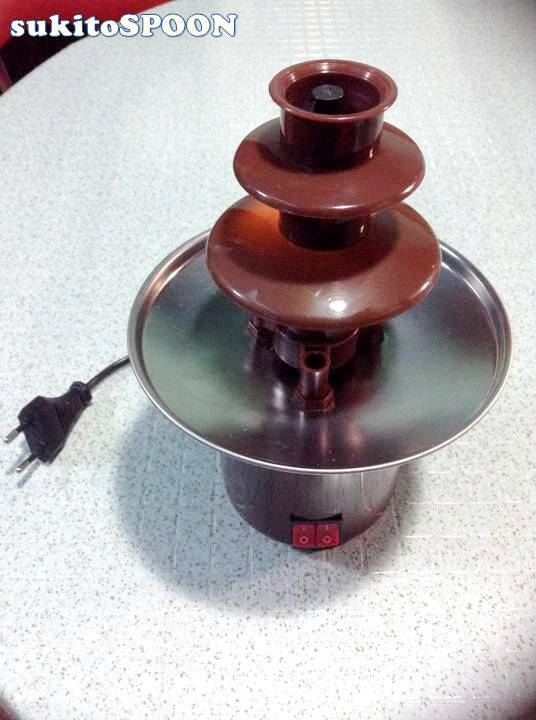 Buying a chocolate fountain of any brand comes along with a warranty and user’s manual or guide for proper usage that SHOULD BE FOLLOWED for SAFETY use. “Tagay” simply means “cheers” or “to have more shots” of liquor! 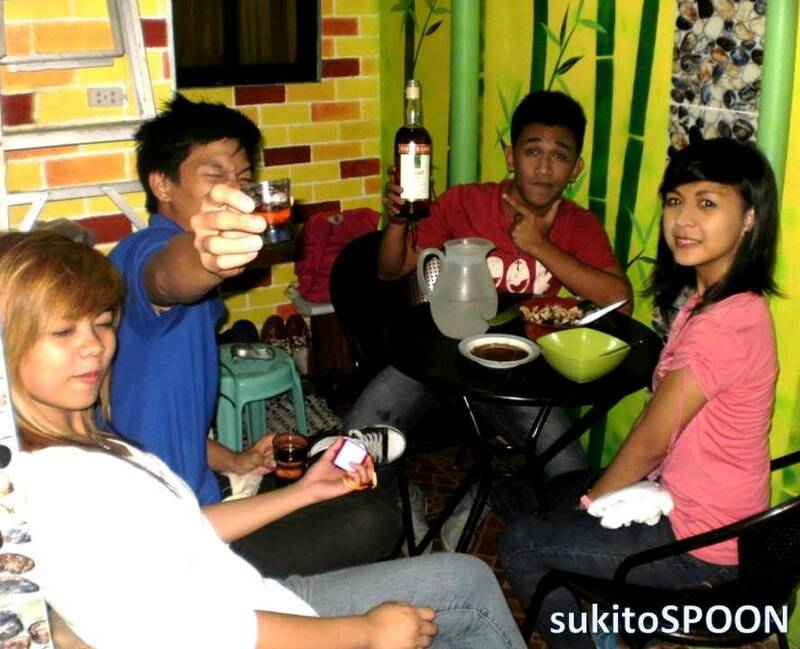 It is also called sometimes as “Inuman” which is the another Filipino term for “drinking session”. 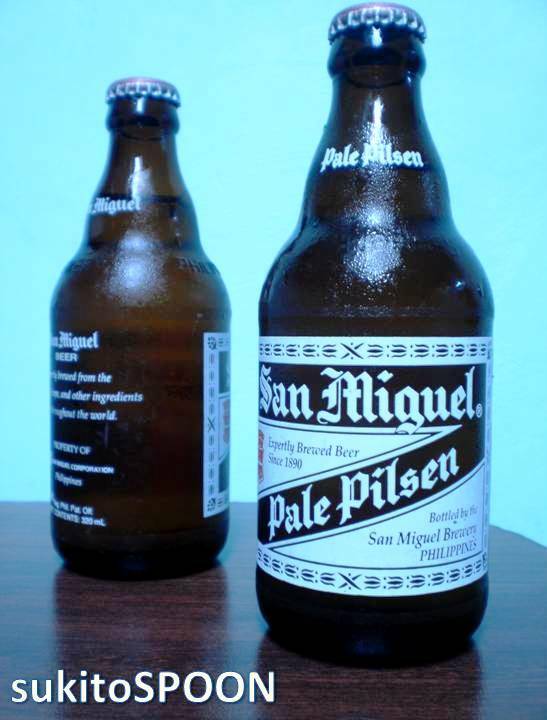 In the Philippines, “tagay” became a traditional custom for the Filipinos especially among men. It is usually done with peer groups or welcoming new friends and most of the times in welcoming a man to be the newest member of the family as he will marry one of the family’s daughter which is commonly initiated by the father or the brothers of the soon to be bride. It is being practiced in a manner where the drinkers will sit around the table and take turns drinking the alcohol from only one glass or shot glass. The “tanggero” also seats among the drinkers within the circle, and is the one responsible for opening the bottle and pouring the alcohol in the glass for the drinkers… and that’s in circling order as well. The participant drinker can say “pass”, if he or she thinks that the alcohol is already taking effects on him or her. Effects such as dizziness, feels like puking, or simply not sober anymore in his or her behavior. While to lessen the effects of alcohol among the drinkers, they have “chasers” with them on the table. “Chasers” are anything liquid that can minimize the taste of alcohol in the mouth and was drunk after swallowing the liquor. Some of these chasers are juices, iced tea, sodas or softdrinks, or even plain cold water. Others prefer to have hot soup for comfort. Some folks wanted to have their own glass or bottle of light alcoholic drink or a simple “jack coke” cocktail which is a combination of cola and small amount of brandy if they already knew by themselves that they cannot handle heavy drinking and they just wanted to be in the circle of drinkers for companionship. Of course, “tagayan sessions” wouldn’t be complete without the “pulutan” on the table. 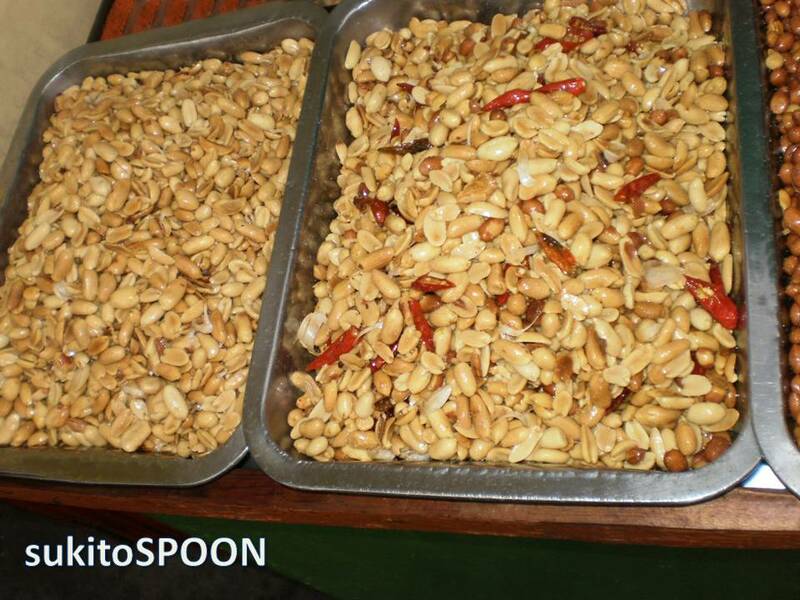 “Pulutan” is any solid food served with the liquors on the table with the same purpose as the chaser’s. It is usually eaten once in a while and in between drinks just to lessen and beat the taste and effects of alcohol in the mouth. Common “pulutans” usually tastes sweet, salty, chilli hot or flavorful. 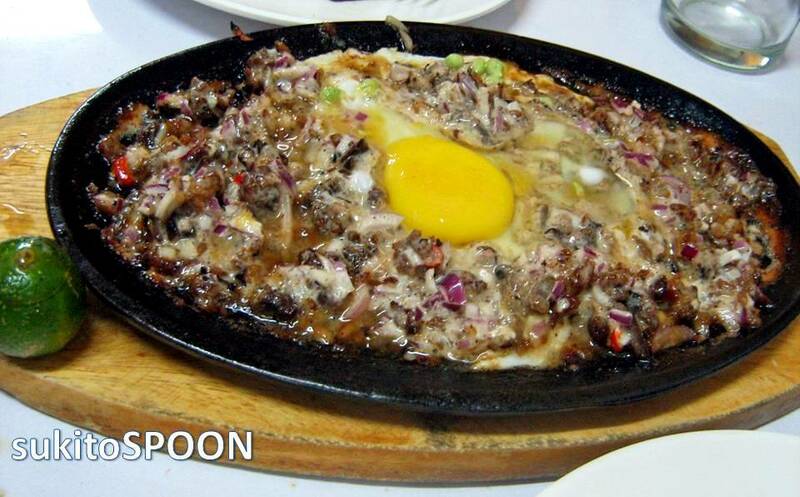 Examples are “mani” or nuts and “sizzling sisig”, to name a few. Moreover, out of my curiosity, I’ve tried joining this drinking session though I really don’t drink. And I found out that its not really the taste of the beer or any alcohol that lures the drinker to always join the “tagay“… but, the sharing of life stories, jokes, good times, and companionship that goes along while drinking. Aside from the fact, that you’ll feel free to express what’s on your mind and that you’ll have an outlet on what you wanted to say without too much hesitation. To simplify it, it’s liberating to speak your mind when you’re drunk. Yet, still sober enough to handle yourself as the alcohol take its effect on you. Actually, drinking is fun if done with good shares of talk and gaining new friends and not igniting fights and causing physical and emotional harm to anyone. Cheers… and drink moderately!